Our 2nd anniversary week is well underway, and we hope you are having as much fun as we are! In case you missed the news, the week between the 27th of May and the 3rd of June will feature many sales and discounts on different distilleries each day. We will be giving away over $1,000 worth of Japanese whisky in our #ToastDekanta competition, when we ask our guests to post a photo of them toasting with their favourite drink on Facebook or on our website, and attach the #ToastDekanta hashtag to their picture. Today, as a special publication, we have compiled a list of historic events in the timeline of Japanese whisky growth, for the newbies out there who have a newfound love for the whiskies, but not a whole lot of time to spare studying the history of their production. Without further ado, Japanese whisky history in bullet points! 1899 – Shinjiro Torii establishes Torii Shoten in Asoka. This company will later become the infamous Suntory. 1919 – The White Oak distillery becomes the first distillery to receive a licence to distill whisky. They begin creating blends from imported whiskies. 1923 – The construction of the Yamazaki distillery begins, marking the birth of the most popular whisky distillery in Japan. Shinjiro Torii invests his family fortune into his dream of creating Japanese whisky. 1924 – With the help of Masataka Taketsuru, who spent a long time studying the science and production of Scotch in Scotland, Shinjiro Torii begins production at Yamazaki. 1934 – Due to differing opinions, Masataka Taketsuru leaves Suntory, and establishes his own distillery named Yoichi, in Hokkaido. Taketsuru wants to create a whisky similar to Scotch, while Torii aims for a new flavour, made in Japan for Japan. 1937 – Shinjiro Torii launches Kakubin which quickly becomes Japan’s best-selling whisky. 1941 – The Hanyu distillery is established by the Akuto family, who have been sake brewers since the 1600’s. 1949 – The Shinshu Mars Distillery is established in Kagoshima. 1955 – The legendary Karuizawa is established by the Mercian Corporation. 1969 – Masataka Taketsuru, under the Nikka brand, establishes the Miyagikyo distillery in Sendai. 1972 – Suntory establishes the Chita distillery, which specializes in grain whisky. This is where the world-renowned Hibiki blend is created. 1973 – Suntory opens the Hakushu “forest” distillery, which begins creating whiskies with more body and a hint of peat, attempting to approach Scotch whisky. 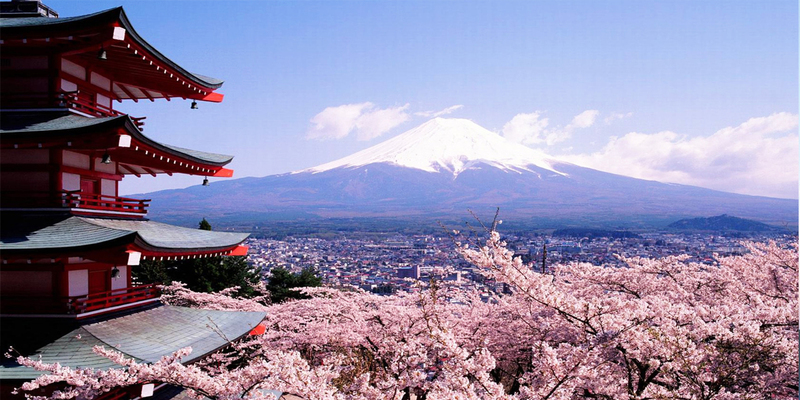 1973 – Kirin establishes the Fuji-Gotemba distillery at the foot of Mount Fuji. 1984 – Mars distillery moves production to Nagano. 1984 – The White Oak distillery opens new facilities for single malt whisky production. 1989 – To honor the company’s 90th anniversary the Hibiki 17 year-old is launched. 1992 – The Mars distillery stops production due to a lack of demand. 2000 – The Hanyu and Karuizawa distilleries stop production and close their doors. 2003 – Yamazaki 12 year-old wins the Gold at the International Spirits Challenge, marking the start of a long series of award-winners in Japanese whisky. 2004 – Ichiro Akuto, of the Akuto family, establishes the Chichibu distillery. 2008 – Production starts at Chichibu, and Ichiro buys the remaining stock from his family’s shut-down Hanyu distillery. 2009 – Hibiki 21 year-old is voted the Best Blended Whisky in the World. It goes on to win this title five times, the last award was received this year in 2017. 2010 – The Mars distillery reopens, and struggles to meet demand. 2017 – Age-statement Japanese whiskies are so rare and low in supply, that distilleries have started focusing on NAS releases. Small distilleries in Japan are booming, and Japanese whisky has spread worldwide and is now synonymous with quality and luxury. There you are guys. There’s a lot more to be said of Japanese whisky history, and if Japanese whisky interests you, you should learn more about its origins, and the struggles it has faced for the last century. But, this list is a great place to start.